Inspired initially by his parents, who both worked for Britannia Airways at Luton Airport back in the 60s & 70s. As a kid Mike was taken to work with his Dad. 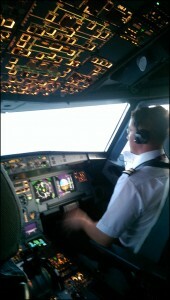 He loved sitting at the jumpseat during landings, takeoffs and just being around simulators, hangars and flight decks. Mike wanted to re-live his father’s dream and passion for flying who unfortunately passed away when he was 9. 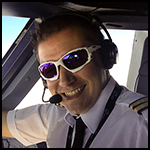 After studying Aerospace Technology and Management, he continued working in the aviation industry as he gained his licenses and ratings simultaneously. Mike initially really had to balance his work and pilot training. His first instructor left when he was almost ready to fly solo. He did not give up however and instead found ways to work around this setback by reaching out to his network. After 5 years since being in education, Mike found getting back into the swing of studying for the PPL written exams a challenge, one he overcome by identifying his weaknesses and putting in the extra work required. on this aircraft which is closest to his heart. Take your time, don’t rush. Even if it takes longer than anticipated, make sure you know your stuff and get it done correctly and safely! With weather issues in the UK, he went to Florida, USA to gain his PPL while working at Monarch. He went in search of a new flying school after Cab Air, his first one, went into liquidation during his first month. Good thing FTA was referred to him by a friend. After taking 8 months to complete his Ground School exams, Mike went back to Florida to hour build. Came back to the UK and gained his CPL, multi-engine, and IR. 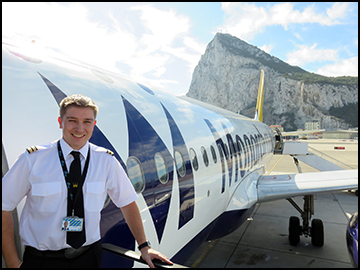 With his brand new Licence and Ratings, Mike Went back to work in his old job in Operations at Monarch before catching a lucky break and offered a place on the A320/21 type rating course and a flying Job at Monarch. 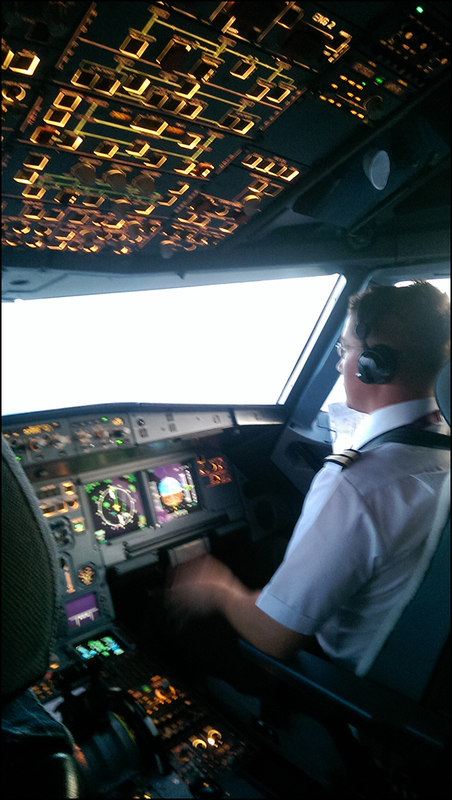 Working for Monarch Airlines flying the Airbus A320/A321. Mike wants to continue working at Monarch Airlines. Aiming to become a Captain someday. Continue to do GA outside of work because it is a lot of fun and more hands-on flying. Great resource to connect with other people in the aviation industry. Make sure to do your own research of people who you talk to. Written by an experienced airline pilot, Ace the Technical Pilot Interview, Second Edition is filled with more than 1000 questions and answers, many of them all-new. This practical study tool asks the right questions so you’ll know the right answers. It’s a must-have, one-stop resource for all pilots, regardless of aircraft type, performance, or global region. Apple iPad – Tablet Computer From Apple. It is a great tool to carry manuals and documents and can be used to download aviation apps.